2) Click 'Download' to generate a .csv report of your current inventory. 3) Open the .csv file. 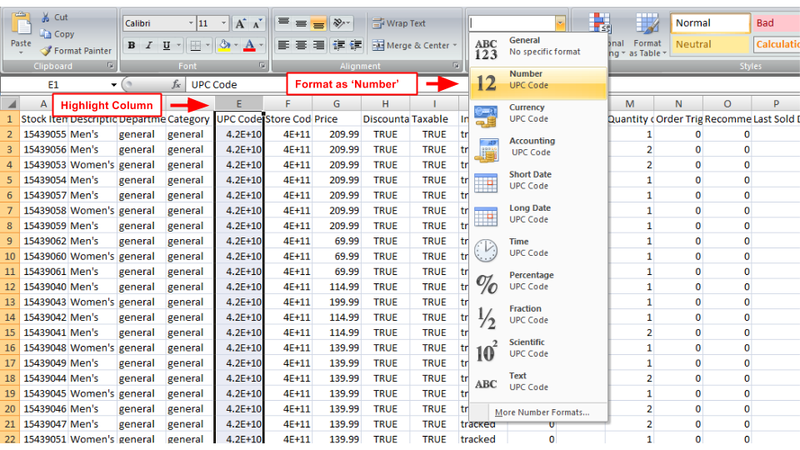 Highlight the entire 'UPC' column and format it as 'Number'.